The blade of a necromancer serves as a sacrificial blade, a weapon against uncontrollable undead, and an instrument for rituals. Our Necromancer Blade looks like something you may find on an altar, or in the hand of a necromancer. 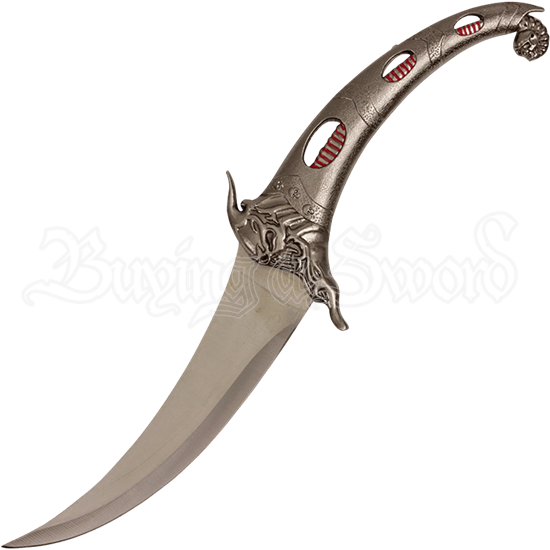 This lightly decorated, yet ornate, stainless-steel dagger possesses a narrow blade that curves upwards towards the tip. The hilt of the dagger curves in the opposite direction of the blade, and is decorated with multiple skulls. A single skull engulfed in what looks like fire makes up the small guard of the hilt. Curved, zigzag shaped bands adorn the cast metal handle, each one decorated with skulls. Holes have been cut from the handle to reveal a golden and red colored, spine-like decoration that leads to the pommel, where a spine emerges from the end of the dagger and curved around a skull. The scabbard that accompanies blade is decorated similarly to the hilt of the dagger, but with a larger spine and skull at its end. The hilt and the scabbard, possess a golden finish, with the blade possessing a slightly golden finish as well, giving the whole weapon a ritualistic appearance. 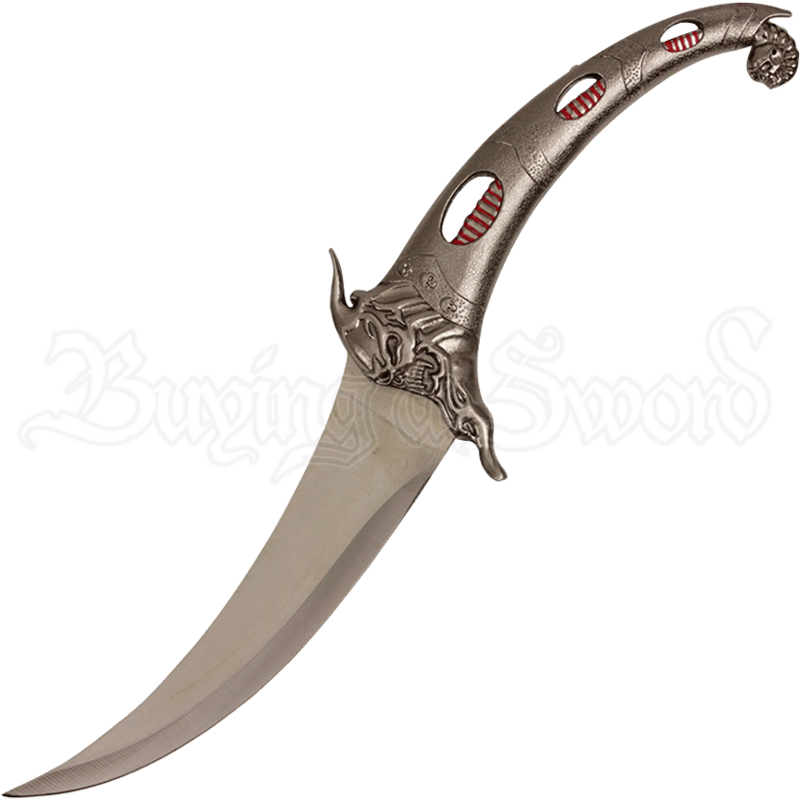 The perfect addition to any collection, this decorative, functional blade will make a great gift for any skull lover or blade enthusiast you may know! Add it to your collection or give it as a gift to a friend or loved one!